Kyle Haugen, 2017-18 District Governor, presented Past President Pat Arling with the 2017-18 Rotary International Presidential Citation. Each year the RI president offers a Presidential Citation program to encourage Rotary clubs to achieve specific goals that advance Rotary’s strategic priorities. 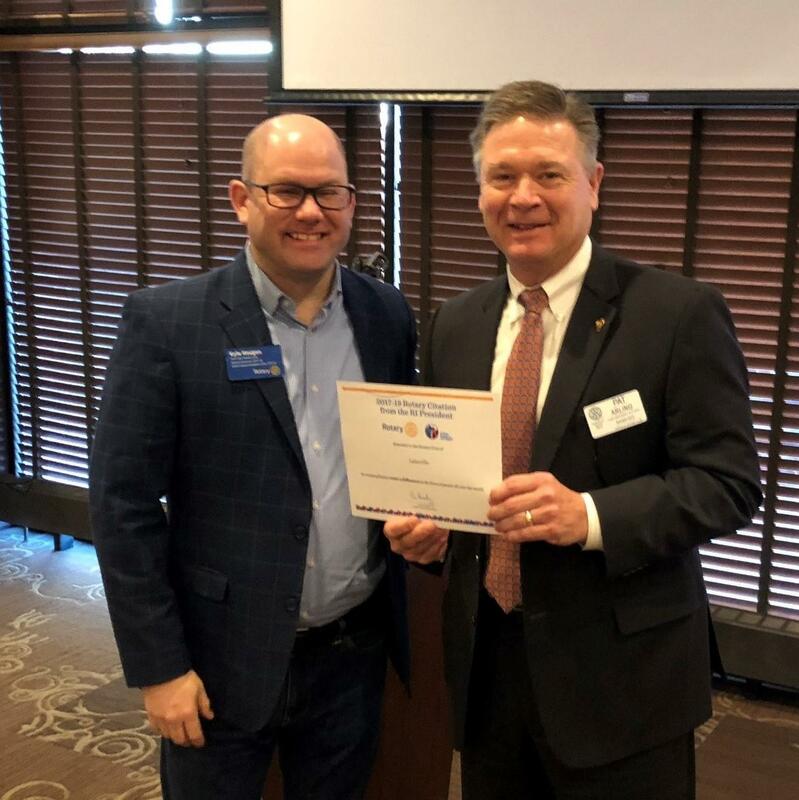 It is an honor to receive this award and Lakeville Rotary Club was one of 13 clubs in our district recognized for "Doing Good in The World" for 2017-18.